Use the WeddingWire Guest List to keep everything you need all in one place — RSVPs, meal selections, plus ones and more. 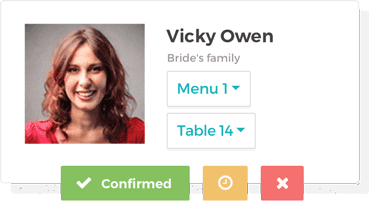 Add guests Easily import from your contacts or add one by one. Manage details RSVPS. Dinner choices. Plus ones. Each guest comes with a lot of info. Sort with one click Manage multiple events and organize your guests by any category. 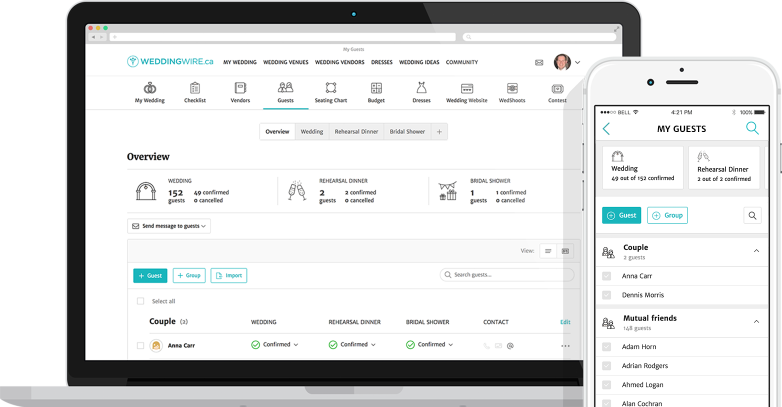 Your Guest List automatically syncs with your WeddingWire Seating Chart to make placements a piece of cake! 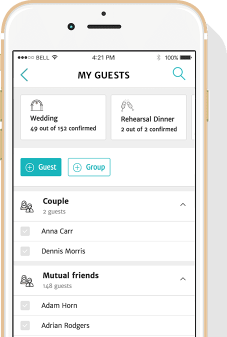 We know you don't have any time to waste, so plan on the go with the WeddingWire Canada app.